Disney has announced that, beginning May 4th (of course), they will begin selling exclusive Rogue One: A Star Wars Story tshirts at Disney Parks. The tshirts (the first of their kind) are being offered as part of Disney’s Star Wars: Force for Change campaign and 25% of the proceeds go to the U.S. Fund for UNICEF in support of UNICEF Kid Power. Rogue One: A Star Wars Story is scheduled to hit theaters December 16, 2016. 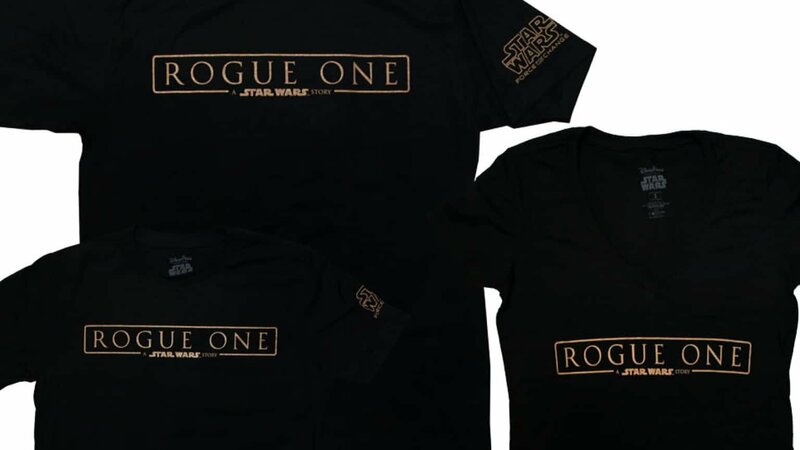 Be the first to comment on "New Star Wars Rogue One TShirts Coming to Disney Parks"